On most days, Andrew Parr reports to the office at 7 a.m., ready for a full day of work as a design engineer for LI-COR Biosciences. After work, Parr might spend time with his wife and dog or practice guitar with his church band. By nightfall, he's usually wiped out. Yet the 25-year-old is somehow finding time for an ambitious undertaking: pursuing a master's degree in engineering management from the University of Nebraska-Lincoln. By earning the degree via the Web - not in the classroom. "It's just a lot more convenient to be able to take (classes) online and not have to leave work in the middle of the day," said Parr, who in 2007 earned bachelor's degrees in electrical engineering and computer engineering from UNL the old-fashioned way. "The big thing is it just works with my schedule better." Parr is in fast-growing company. Across the nation, millions of students are flocking to online schooling, increasingly lured by the idea of pursuing an education on their own timeline. For a younger generation hooked on e-mail and Facebook, the appeal of online courses - built around Web-based discussion boards, group chats and video conferences - is obvious. And for adults with family and work obligations, or those with no time or means to travel to campus, online education offers an opportunity for a college degree where in the past no such opportunity existed. Little wonder, then, that colleges and universities - including those in Nebraska - are responding to rising demand with beefed-up course offerings, more instructors and aggressive efforts to reach out to potential enrollees. Education experts agree: Colleges must capitalize on the online movement. "There's a consensus that for the United States to be competitive in the global knowledge economy, we have to do a better job (of producing more college graduates)," said University of Nebraska President J.B. Milliken. "Distance education will be one of the essential tools in this effort." Unlike schools such as Penn State and the University of Maryland, NU hasn't been a leader in online education, acknowledged Milliken, who serves on the Association of Public and Land-Grant Universities-Sloan National Commission on Online Learning. That much was confirmed in a recent consultant's report that found NU wasn't taking full advantage of the online market. But NU has plans to change that. In the coming months, NU will roll out double-digit tuition hikes for online courses, new programs and a new distance education Web site that will allow it to market its programs under a single "brand" rather than leaving the job to individual campuses. NU leaders hope the overhaul will attract more students to its well-known brand and, in turn, generate more tuition revenue that will be poured back into its online programs. A quarter-million Nebraskans have some college education but are no longer pursuing a degree, Milliken said. NU wants those and other students to start anew. 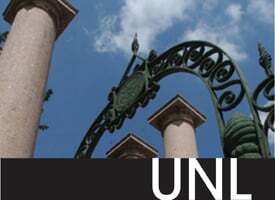 "The message is, you can get a high-quality, University of Nebraska education no matter where you are," Milliken said. "That's a great selling point for the University of Nebraska, a great basis for us to expand." There will be competition, to be sure. Consider Peru State College, which has enjoyed an enrollment boom in recent years largely thanks to its online programs. Many of Peru State's 2,300-plus students are online-only, and the vast majority take at least one course online. Then there's Southeast Community College, whose 280 Web courses reach students as far away as Samoa. About 2,200 SCC students take an online course each academic term - up from a grand total of eight who signed up for SCC's first online offering in 1998. And at Bellevue University, which boasts the state's largest MBA program, a whopping 70 percent of students are online-only. "(The Web) is the future of higher education," said John Watson, Bellevue's director of marketing and public relations. "When you're online, you can come home, feed the family, spend time with the kids, and you can work at your own pace when you have time. That flexibility, in this day and age, is paramount." NU also will have to compete with the marketing muscle of for-profit institutions like the University of Phoenix, which spends millions on advertising, NU distance education director Arnold Bateman said. NU already offers more than 1,200 courses and 70 degree and certificate programs online, and NU students took an estimated 65,000 credit hours online in 2008-2009. UNL offered 550 courses online in 2007-2008, up from 303 in 2001-2002, according to data provided by Paul Savory, interim associate vice chancellor for extended education and outreach. In that same time period, student credit hours taken online surged from 10,074 to 18,056. UNL's online programs are growing by 10 to 15 percent each year, Savory said, far outpacing on-campus enrollment growth. Similar growth online has occurred at the Omaha and Kearney campuses. But NU must do more, Bateman said. In the past, NU may have focused too heavily on graduate Web programs, not doing enough with undergraduate programs, Bateman said. Now, with most online growth occurring at the undergraduate level, NU can't afford not to act, he said. "If we don't expand our program offerings, we're not going to be able to provide that kind of support to the state of Nebraska," he said. "And as a land-grant institution, that's really important." Once stigmatized as a watered-down version of the classroom experience, online education now is increasingly recognized by students, instructors and employers alike as equally rigorous, experts say. In some cases, in fact, online courses offer unique perks. A shy student might feel more comfortable posting in a Web discussion board than raising her hand in class. Discussions might delve deeper as students ponder topics over dinner or family time, a luxury they don't have in the classroom. Web-based scientific simulations can be repeated again and again when a student doesn't understand. Videotaped lectures can be replayed for emphasis. True, the Web can never replace key in-person experiences such as hands-on clinical work for medical students, Watson said. But in many disciplines, he said, "the online experience is very, very much the same." Online courses are costly to develop and deliver - hence the pending tuition hikes - and require significant faculty involvement, Milliken said. They also demand an extra level of discipline on students' part, as students must get their work done without the structure of regular class meetings. That might prove difficult for some students, Parr said. But for Parr, the Web's flexibility gives him the chance to dig deeper into course readings and work ahead when he needs to, as he did before a family trip to Texas this summer. "You have to be a self-motivated person," he said. Parr did recall one Web-related slip-up: He and a classmate decided to meet at the Nebraska Union to go over a group paper before handing it in. They'd never met, and as Parr searched the Union, he realized he'd walked right past his classmate. "That was definitely a new challenge," he said with a laugh. It won't deter him from continuing to take classes online. Originally unsure of what his online experience would be like, Parr is now eager to keep picking up the skills he'll need to advance his career. "The university does a good job using the tools they have to make it work," he said. "We have all sorts of mediums to communicate. "Education is starting to go more and more this way." Not only that, but online growth falls directly in line with NU's mission, Milliken said. "The highest priority for a public university is to provide access to the people in its state to get a college education, to have the opportunity for a better life, better jobs, et cetera," he said. "To me, providing significantly expanded opportunities in distance education is simply part of our fundamental responsibility in the state." Reach Melissa Lee at 473-2682 or mlee@journalstar.com.